Based on feedback from our community, DsO has NEW fantastic books that are helpful for people of ALL ages and all stages of development. Do you have a book that is sitting on a shelf or in a box?….that is a publication date after 2005? ….that was a helpful tool for you and your family? If you answered YES to all of those questions, we would LOVE to take it off your shelf or out of that dusty box, and offer it to DsO families while we are updating our Library! Library books can be checked out for two weeks. You have the option to renew your book as well. Come on by and utilize these amazing books! They are here for YOU! 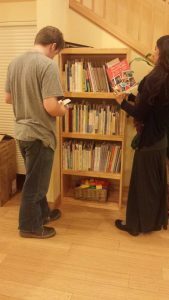 Click here to see the complete DsO Lending Library.